Sport speed refers to how fast an athlete can move in a particular direction in a carefully thought out plan and the execution of that plan through an action. Speed consists of starting, the pace, efficiency, stopping and endurance. Speed can be applied in sports in a manner of different functions like: the speed of an athlete, throwing an object, hitting a homerun ball, speed of passing a baton, ball, puck, or the athlete’s reaction to a ball thrown in order to catch or produce an outstanding performance and perfect execution. Agility is developed by training the body to move in different directions quickly and easily, resulting in improved reflexes. This can be accomplished by doing agility drills or training sessions; some examples of agility training are jumping, ladders, hurdles, and resistance. Agility training can be used in sports in different ways like basketball, football, soccer, tennis, hockey, and other sports that encourage athletes to change direction quickly while moving. Even though the player has speed and moves quickly, but lacks agility, this disadvantage could turn against them. 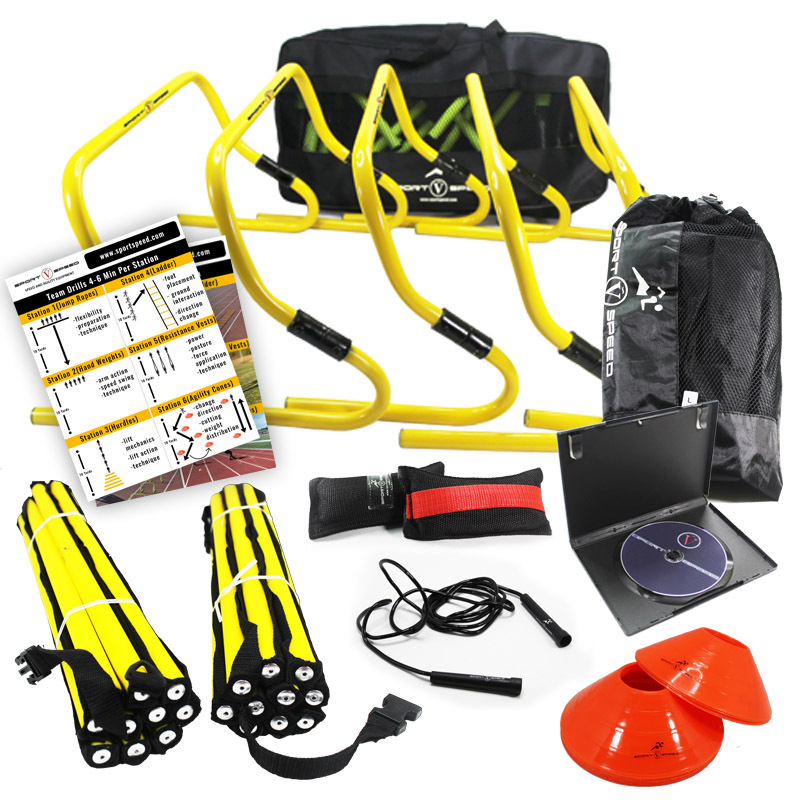 In order for the player to optimize their potential, there must be a correct agility training implemented and added to the training routine through utilizing different, but correct, types of professional training programs. Like all training, speed and agility training should start with the measurement of the athlete’s level of fitness in agility and speed. 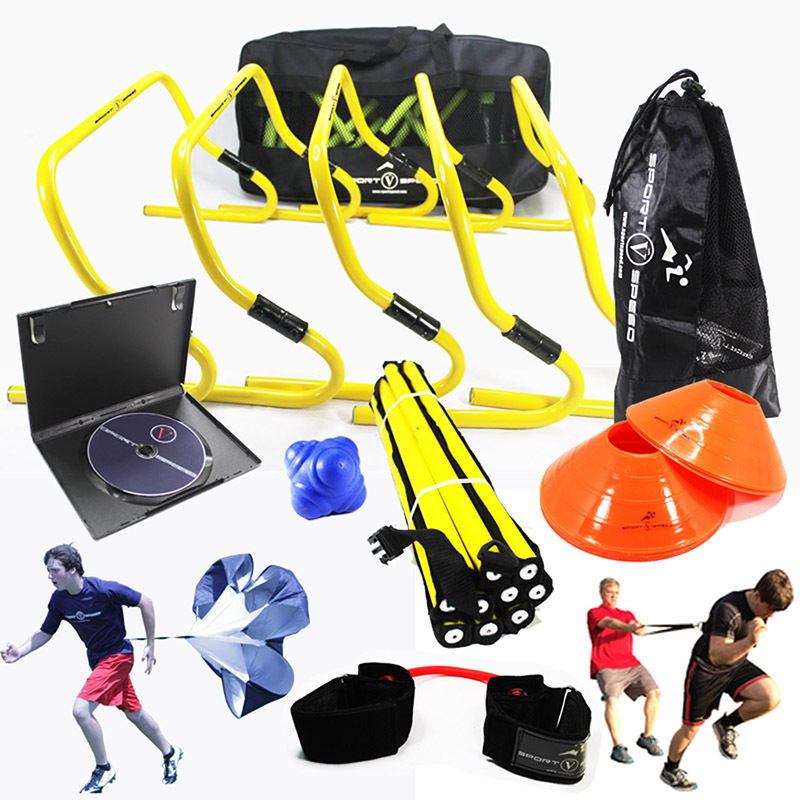 This training is for both individual athletic, as well as individuals who play on teams. It hones the progress and improvement of the individual skills, but can still be related and used for the whole team’s benefits. Team building is necessary in order to gauge the athlete’s improvement relative to their teammates; this way, a feedback on the training needs of individual athletes can be identified as well as the skills that are quickly mastered. Varsity and junior coaches have the ability to measure and gain insight in order to help them make a decision regarding the teams’ full potential based on the speed and agility testing results. Measuring speed and agility helps the coaches to identify what skills an individual athlete needs to improve and focus on in order to produce outstanding performance during practice and actual games. Evaluations for this type of fitness are 20, 30, 40 yard dash, sprint start technique, pro-agility shuttle, cone drills, changing direction, acceleration and reacceleration, body positioning, breaking down of each movement, and vertical and broad jumping. The proper speed and agility training should be done by a professional speed and agility trainer in order to avoid injuries. Together with the professional trainer, equipment and testing protocols will produce results like an athlete being faster and quicker, improvement in ability to change directions while maintaining speed, and the ability to stay on the game longer.